Everyone has different reasons for using discounted gift cards. 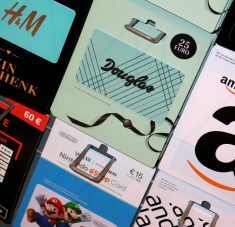 Whether you are you trying to get more for your money, spend less in general or free up room in your budget, you can use gift cards properly to give yourself a financial boost. 1. Create a savings routine with regular spending. I thought I had a nice rhythm in terms of pacing when to purchase the discounted gift cards from places like Raise.com. Once I purchased needed items with one, I would order more. This worked out well for stores I would shop in regularly. Then I found another perk. l would also buy certain gift cards right before checkout. This helped me to only purchase a card with an amount closest to the increment I was about to spend. I did this for stores where I shopped less frequently. For instance, I buy clothes seasonally. I don’t always shop in the same store or spend the same amount so I’m better off waiting in a case like this. I also used this strategy when it was more important to stick to a set amount to spend. I didn’t want to overspend for the sake of taking advantage of a sale. That’s not really savings to me. Overspending is overspending. After selecting all the items I wanted to buy, I would estimate how much I was about to spend. I would then look for a gift card from the store. Make sure you do check the Raise app in advance prior to shopping. You can see if they carry cards for the store you’re about to shop in and check to see if there are enough available to purchase right before check out. I try to purchase a card as close to the price as possible or under the total of it so I don’t spend more money than necessary. I do this for a number of reasons. I don’t like to hold on to gift cards with a few dollars left over especially if I don’t plan on shopping at this same store any time soon. I also like to spend the whole amount all in one shot so I don’t have to keep track of small remaining increments. I would have to punch them in the amount left over on the Raise app or hold on to the receipt that let’s you know how much is left. While it’s nice to have that option, I eliminate keeping track by spending the whole thing at once. It’s just a personal preference. 2. Check your account for backup copies of cards. When I was new to the concept of discounted gift cards, I fumbled a bit when using them. One time I didn’t receive one of the physical gift cards by mail, another came late and most recently somehow all the apps on my phone restarted and the digital cards vanish completely. Luckily, I was able get them all back. After contacting Raise.com, I discovered that the purchases are all stored nicely under the “my account section” of the website. So whether a physical or digital card was lost or misplaced, you could always go back to Raise.com and retrieve them there (unless someone found it on the street and used it). You just simply print out the gift card from the site and use it in place of the digital or plastic one. I was so relieved. I was able to save some money when recently purchasing flooring. 3. Save up for a big purchase. I discovered an added bonus. Purchasing gift cards far in advance for a project allowed me to spread out my spending little by little. I could buy a few cards at a time so I didn’t have to fork over a whole bunch of cash at once. I will surely do this again for another future project. I believe there is a limit to how many cards you can use, but I’ll have to double check the next time I have another project. I used one gift card that I purchased back in the summer. I paid $120.14 for a card with $130.25 value. So I knew I would get $10.11 off the total of my purchase just by strategically buying gift cards when I had the money. I found another one later in the year for $46.40. Though it was only a savings of $3.60, it was less than I would have to pay off of the total. When I went to purchase the flooring I got $13.71 off with very little effort. 4. Combine the discounted gift cards with other ways to save. I then asked if we could save some money if we removed the flooring we were looking to replace ourselves. They said we were able to do that and that took $100 off of the total. Hooray. I knew that the floor wouldn’t be that hard to rip up because it was just vinyl. I also opened up a Home Depot credit card with 0% financing. I don’t recommend this for everyone. This is for people who are responsible with credit cards and can pay it off before getting whacked with a ton of interest. It gives you $25 off of your first purchase though. So with very little energy put forth, I saved $38.71 off the total. With some sweat equity, I knocked another $100 off the total. So we saved a total of $138.71. Yay us! Even the smartest deal seekers don’t always take advantage of the perks that discounted gift cards have to offer. Consider maximizing the benefits and get more financial bang for your buck using the tips mentioned.